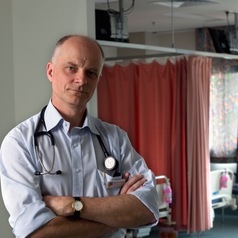 Frank Bowden is Professor at the Australian National University Medical School and an Infectious Diseases Physician at the Canberra Hospital. His special research interest has been population health approaches to the control of infectious diseases (especially sexually transmitted infections). He teaches a course in Evidence Based Medicine and is a board member of the One Disease Foundation which is working in the Northern Territory to eliminate crusted scabies. His books 'Gone Viral - the germs that share our lives' and 'Infectious - a doctor's eye opening insights into contagious diseases' are published by NewSouth.